With a rapid increase in the number of people who own a handheld device, such as an iPod, education researchers and administrators started looking for a way to use a handheld device to foster student learning. However, the current use of a mobile device in education is quite limited. With few exceptions, it is mostly used as a simple media player that allows learners to watch pre-recorded lectures or view course materials. This article describes an interactive physics tutor running on an iPod Touch and how it could facilitate the learner’s understanding of physics concepts by providing appropriate scaffolding based on physics misconception research and e-learning design principles. Lee, Y.J. (2010). Developing a Mobile Physics Learning Environment Based on Physics Misconception Research and e-Learning Design Principles. 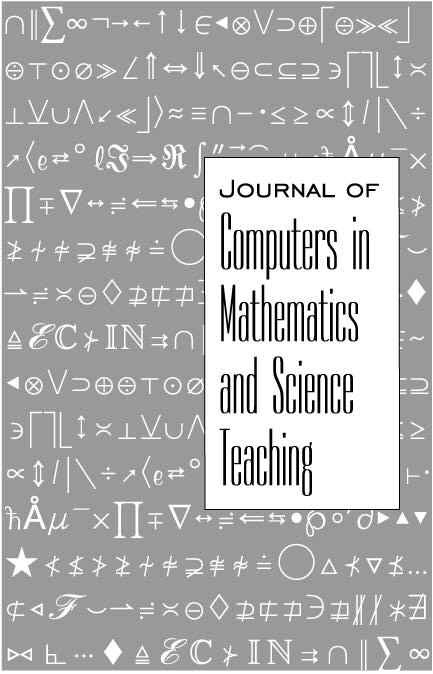 Journal of Computers in Mathematics and Science Teaching, 29 (4), 399-416. Waynesville, NC USA: Association for the Advancement of Computing in Education (AACE). Retrieved April 18, 2019 from https://www.learntechlib.org/primary/p/34059/. Aleven, V. & Koedinger, K. (2002). An effective metacognitive strategy: Learningbydoing and explaining with a computer-based cognitive tutor. Cognitive Science, 26, 147–179. Bao, L., Fang, K., Cai, T., Wang, J., Yang, L., Cui, L., Han, J., Ding, L., & Luo, Y. (2009). Learning of content knowledge and development of scientific reasoning ability: Across culture comparison. American Journal of Physics, 77(12), 1118–1123. Betrancourt, M. (2008). The animation and interaction principles in multimedia learning. In R.E. Mayer (ed. ), The Cambridge handbook of multimedia learning (pp. 287–296). New York, nY: Cambridge university Press. Block, B.A. (2008). Using iPods in dance pedagogy. Journal of physical education, recreation& Dance, 79(7), 25–28. Brown, A., & Green, T.D. (2008). Video podcasting in perspective: The history, technology, aesthetics, and instructional uses of a new medium. Journal of Educational Technology Systems, 36(1), 3–17. Coletta, V., & Phillips, J. (2005). Interpreting FCi scores: normalized gain, preinstruction scores, and scientific reasoning ability. American Journal of Physics, 73(12), 1172–1182. Cummings, K., Marx, J., Thornton, R., & Kuhl, D. (1999). Evaluating innovation in studio physics. American Journal of physics, 67(1), 38–44. Fletcher, J.D., & Tobias, S. (2008). The multimedia principle. In R.E. Mayer (ed. ), The Cambridge handbook of multimedia learning (pp. 117–133). Hew, K.F. (2009). Use of audio podcast in K-12 and higher education: A review of research topics and methodologies. Educational Technology Research& Development, 57, 333–357. Lawson, D.A., Carpenter, S.L., & Croft, A.C. (2008). Mathematics support: Real, virtual and mobile. The international journal for technology in mathematics education, 15(2), 73–78. Lee, S., & Lee, Y.H.K. (1991). Effects of learner-control versus program control strategies on computer-aided learning of chemistry problems: For acquisition or review? Journal of Educational Psychology, 83(4), 491–498. LeeMoreno, R. (2004). Decreasing cognitive load for novice students: effects of explanatory versus corrective feedback in discovery-based multimedia. Instructional Science, 32, 99–113. Rosell-Aguilar, F. (2007). Top of the pods – in search of a podcasting “podagogy” for language learning. Computer Assisted Language Learning, 20(5), 471–492. Saettler, P. (2004). The evolution of American educational technology. Charlotte, nC: information Age Publishing. Spiro, R.J., Feltovich, P.J., Jacobson, M.J., & Coulson, R.L. (1992). Cognitive flexibility, constructivism, and hypertext: Random access instruction for advanced knowledge acquisition in ill-structured domains. In T.M. Duffy& D.H. Jonassen (eds. ), Constructivism and the technology of instruction: A conversation (pp. 57-76). Hillsdale, nJ: Lawrence erlbaum Associates. Terpstra, B. (2009). ACu’s iPhone initiative: A year later. Retrieved April 2, 2010, from http://www.tuaw.com/2009/07/24/acus-iphone-initiative-a-year-later/ Waycott, J. (2004). The appropriation of PDAs as learning and workplace tools: An activity theory perspective. Unpublished doctoral dissertation, open university, Milton Keynes, uK. Vess, D.L. (2006). History to go: Why iTeach with iPods. The history teacher, 39(4), 479-492. Notes 1 Podcasts are not the only way researchers have used handheld devices in education. For example, Klopfer and Squire (2008) used a Pocket PC as an augmented reality simulation platform.